Tod Marshall is a finalist in the Poetry category of the Washington State Book Awards. The Washington Center for the Book just announced their list of finalists for the Washington State Book Awards and you can take some pride in knowing that four Spokane-area authors made the cut. Bruce Holbert's Hour of Lead was nominated in the competitive Fiction category. Here's our profile from last October about the Western-influenced novel and the Mt. Spokane High School teacher's struggle to get it all out onto the page. 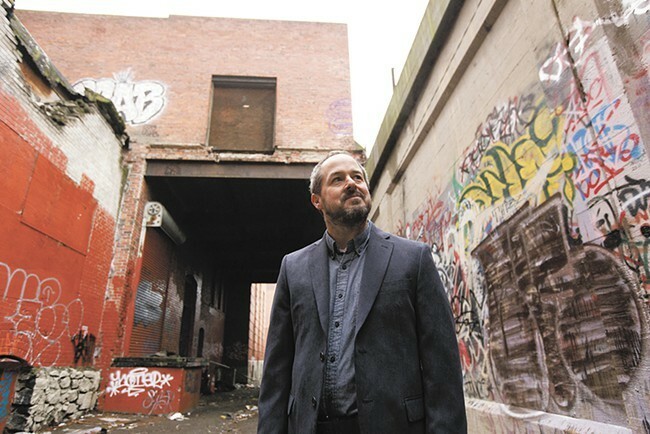 In the Poetry section, Gonzaga professor Tod Marshall made the finals with his collection Bugle, which received instant positive reviews upon its release last winter. Over on the nonfiction side, Greg Gordon is a finalist for his book When Money Grew on Trees: A. B. Hammond and the Age of the Timber Baron, a look back at the early days of Western logging and how Hammond and others nearly destroyed the forests of our region. Gordon is a history professor at Gonzaga. Mary Kronk Farell, a former local television journalist, was nominated in the Young Adult category for her book Pure Grit: How American World War II Nurses Survived Battle and Prison Camp in the Pacific. The Washington State Books Awards are set to be announced on October 10 at the Seattle Public Library.